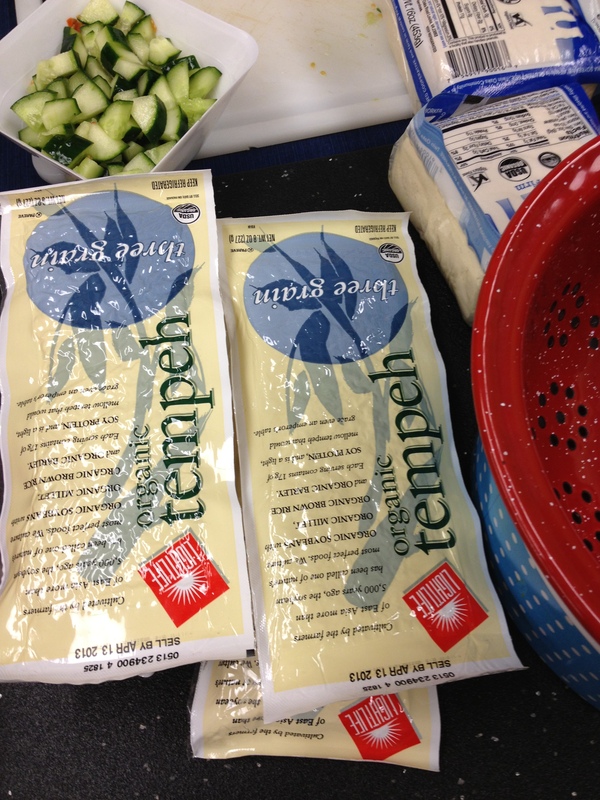 My nemesis, Tempeh. That’s right, after 20+ years as a vegetarian, I am still baffled by tempeh, but not any more. 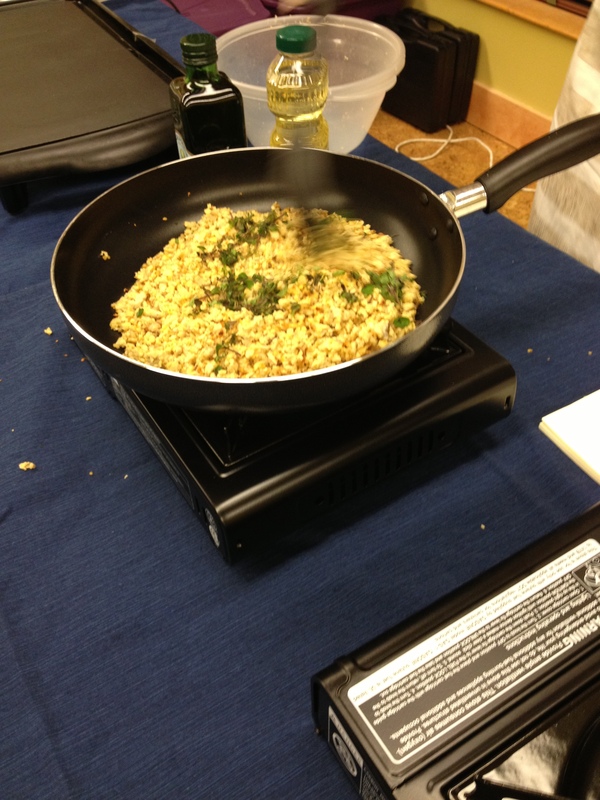 Lauren over at Vegology (after many tweets to her about “How did you make that?” when she posted dinner with tempeh pictures) held a “Protein Power” cooking demo at Ellwood Thompsons. 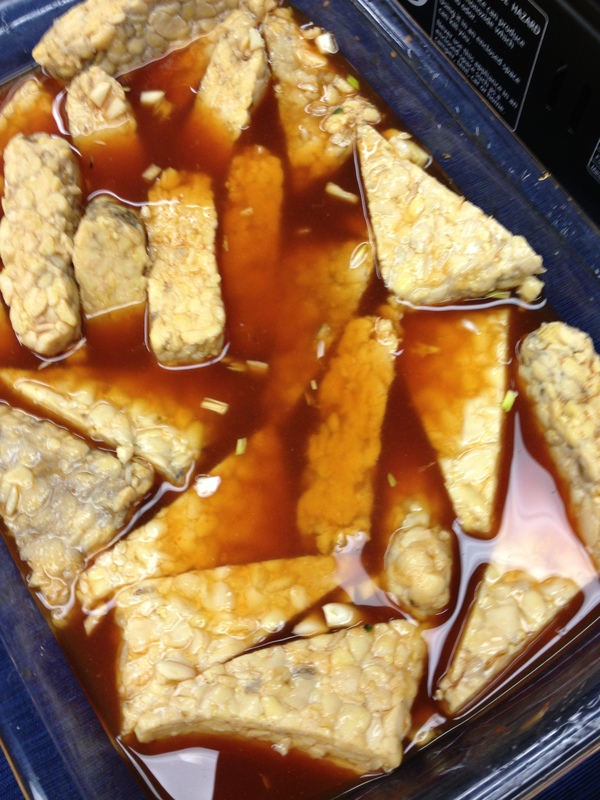 For those who aren’t familiar, tempeh is a fermented soy product that can be served raw or cooked. 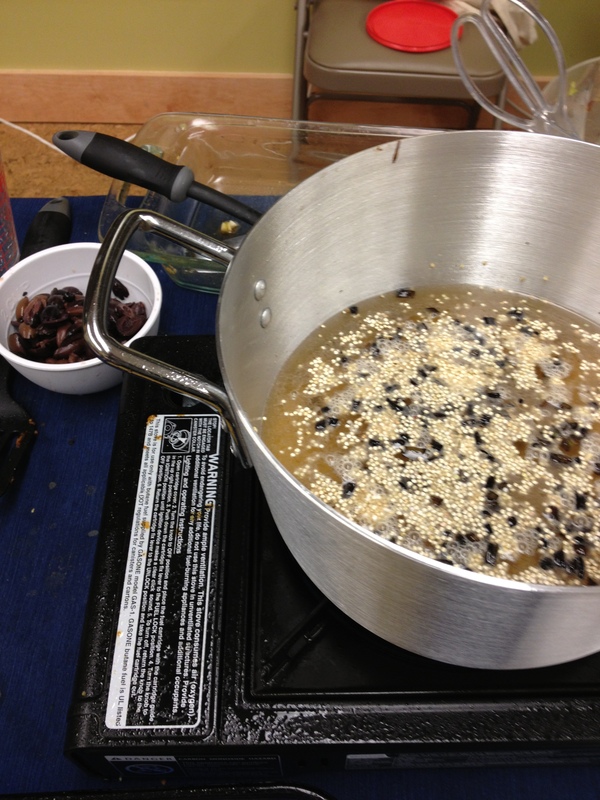 You can find it at natural foods stores from companies like LightLife and local Twin Oaks. 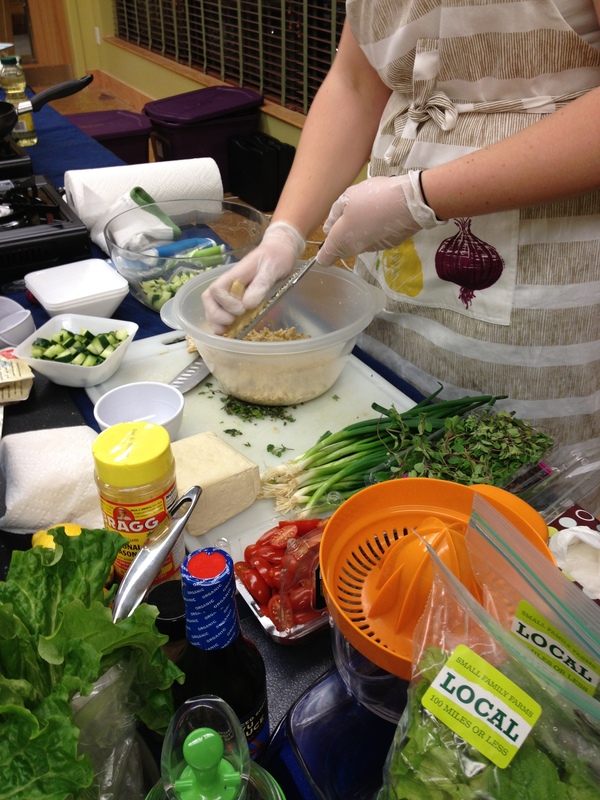 The recipes included a Greek Salad with Herbed Tempeh, cooked in the flavors of souvlaki, but vegetarian of course, with a delicious greek dressing. 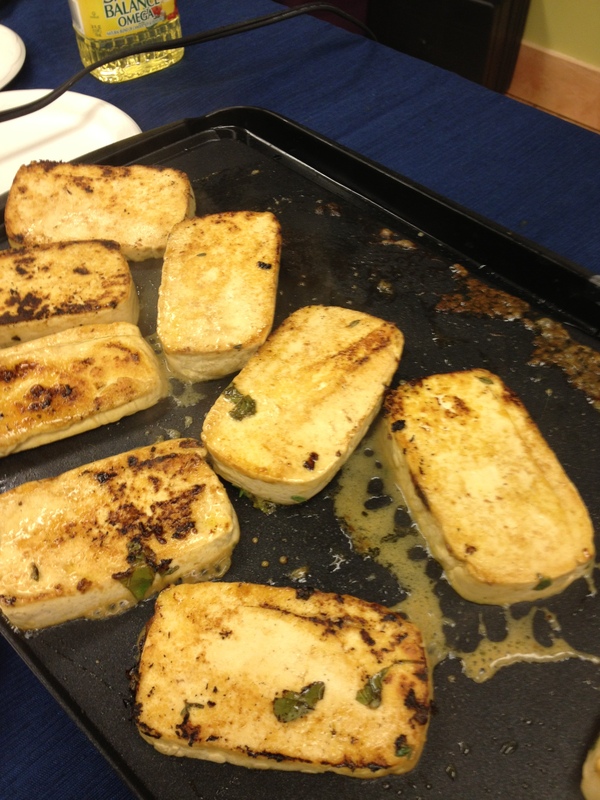 In this recipe the tempeh was grated, then sauteed with olive oil and herbs. 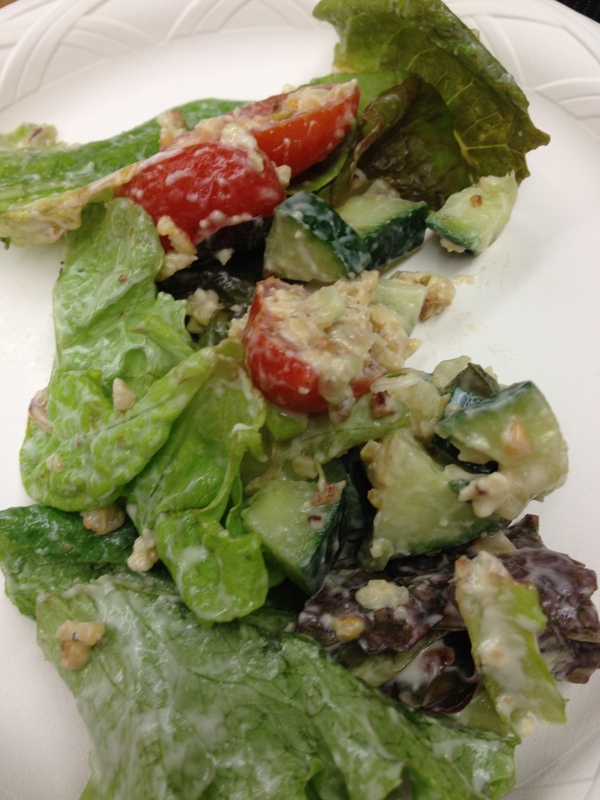 The greek yogurt dressing was lemony and light. 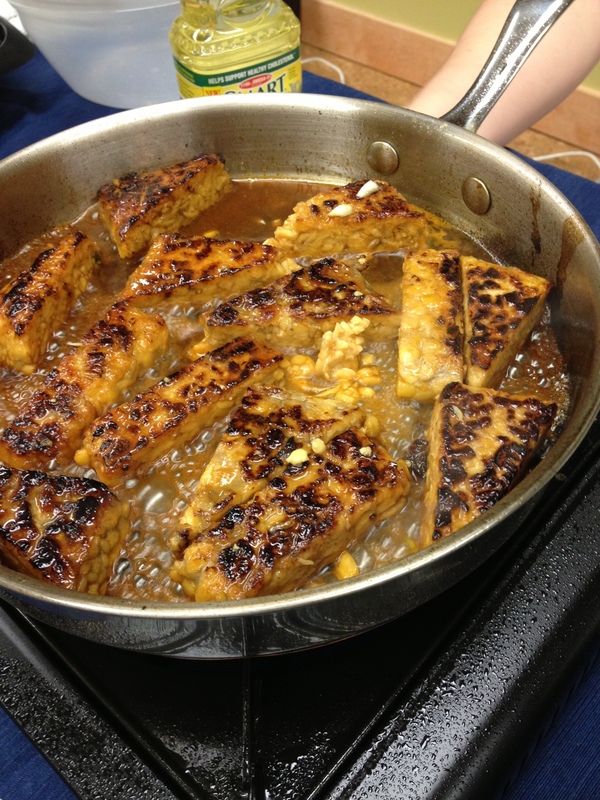 Next up was a Chili Maple Glazed Tempeh. 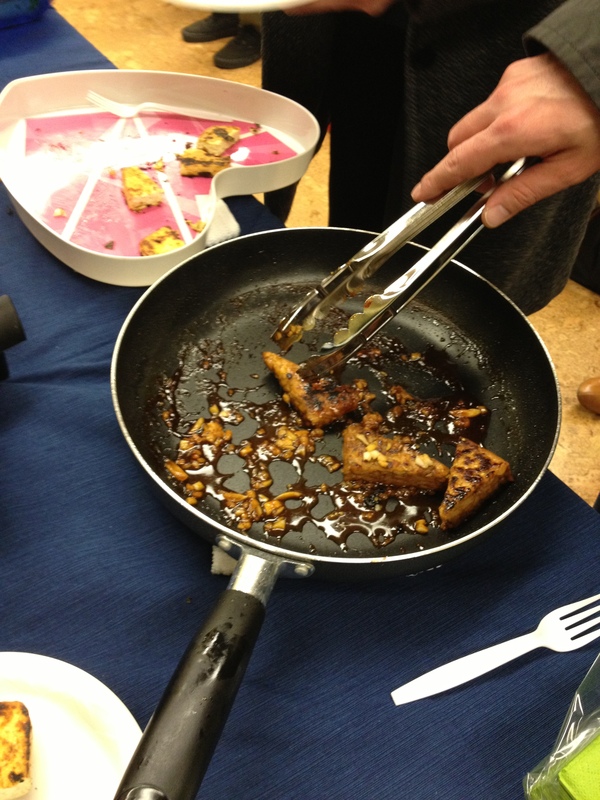 After a heated debate over the shape of the tempeh ( I still vote parallelogram), the tempeh was marinated apple cider vinegar, Sriracha, maple syrup and soy sauce (you could substitute aminos, but watch out for the salt). This was probably my favorite dish of the night, spicy and a little sweet. 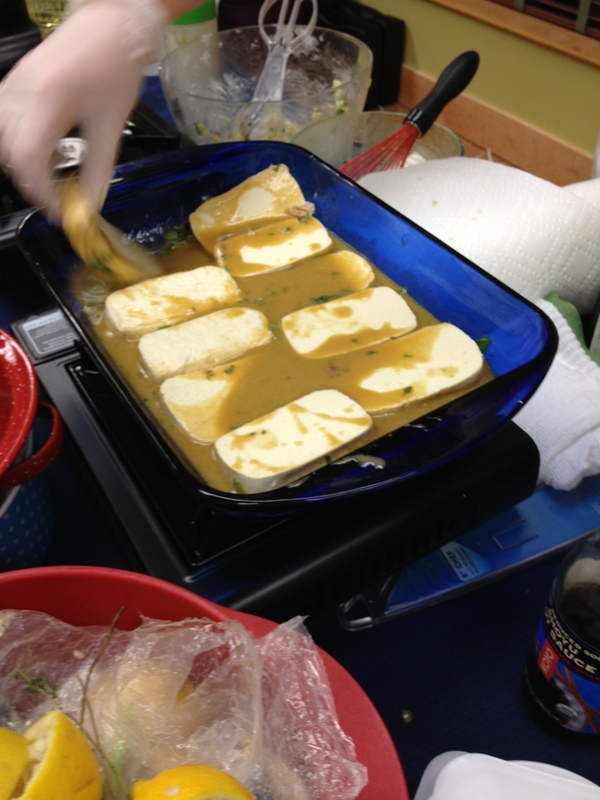 Engagement Tofu was the third dish, along with the story of Lauren’s engagement to Kyle ( and a little gentle ribbing about doing the dishes), and a lot of talk about pressing tofu (it seems we all agree Twin Oaks does not need to be pressed) as well as freezing tofu (which I do for certain dishes; General Tso’s Tofu) Pressing and freezing changes the texture of the tofu, making it more dense. 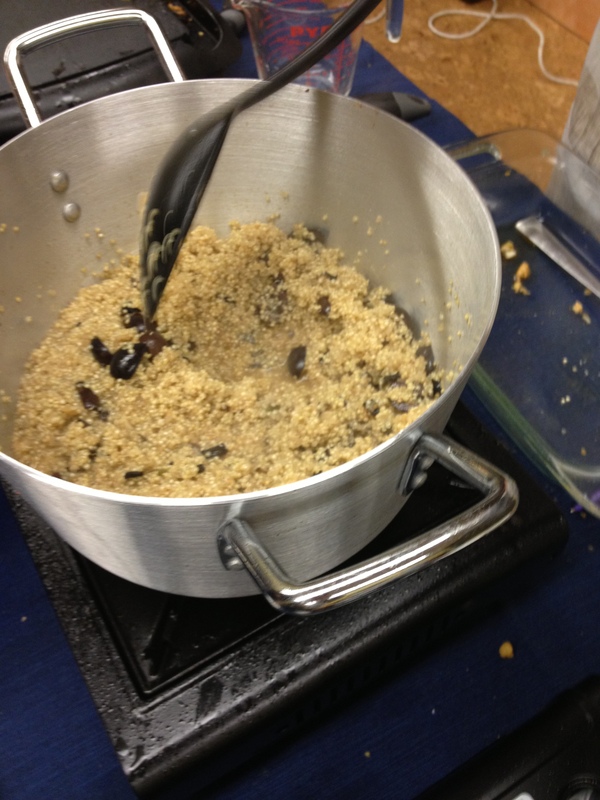 The last dish of the night was Quinoa with Olives and Parmesan ( or nutritional yeast if you are making it vegan). That was the biology section of our post today, essentially quinoa can replace rice in most recipes, with 5g of fiber and 8 grams of protein it is perfect for vegans, vegetarians and omnivores alike.